The Silverstone Stewards have issued a statement in relation to yesterday's row over wheel tethers which saw the Faenza outfit accused of presenting Carlos Sainz' car in an unsafe condition for scrutineering. "During initial scrutineering car number 55 was found to have a damaged wheel tether," said the Stewards yesterday. 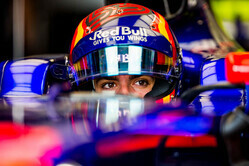 "The scrutineers made the team Scuderia Toro Rosso aware of this and asked the team to replace it. "The team refused to follow the instructions of the scrutineers and therefore the technical delegate checked the damaged tether himself and found that the tether was not only damaged but also several cut fibres were knotted together. "Therefore the team was aware of the damaged tether and presented the car in an unsafe condition for scrutineering." This morning however, following further investigation and having spoken to the team, the Technical Delegate issued the following. c. And the fibers in question had signs of wear. 2. The Car therefore could not pass scrutineering until the relevant part had been replaced. 3. The Stewards are satisfied that there was no intention by the team to mislead the scrutineers. 4. The relevant part has since been voluntarily replaced by the team and the Car has passed scrutineering. An additional issue that the Stewards considered was the presence of knots within the tether. However, the Stewards were informed by the team and the relevant manufacturer that these were standard in tethers and have been duly tested for use and homologated with these knots present. The FIA, as part of its ongoing efforts to promote safety in motorsports, will review the manufacturing process associated with these tethers. Check out our Friday gallery from Silverstone, here. 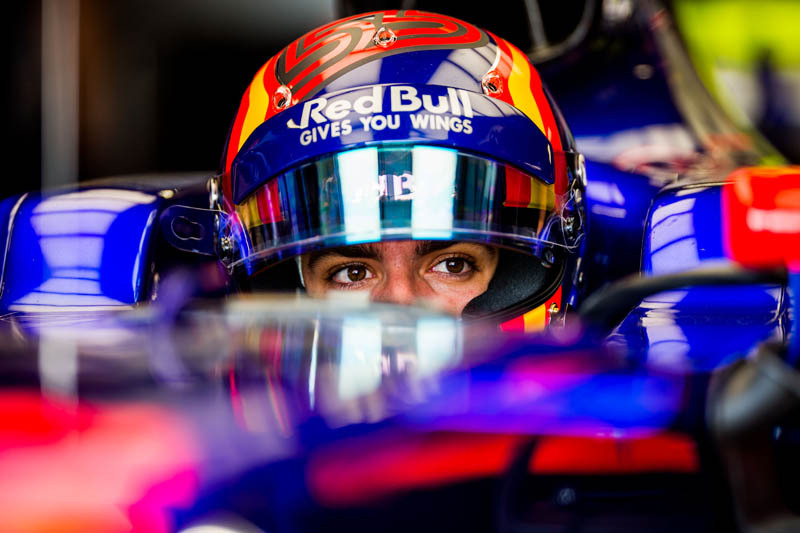 Stewards summon Toro Rosso over "unsafe car"